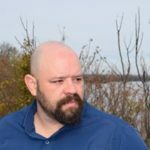 Meet John L. Davis IV: Published Author, Screenwriter, Parent and Husband. If you’re interested in learning about how this writer has accomplished so much in the industry, read on! HOW DO YOU BALANCE BEING A WRITER, PARENT AND HUSBAND ALL AT ONCE? WHAT ADVICE CAN YOU OFFER THOSE WANTING TO PURSUE WRITING WHILE ALSO HOLDING DOWN OTHER JOBS AT THE SAME TIME? “You work, you have a family, so writing always seems to take a back seat to everything else. If you genuinely want to write, then write. Set aside time every day to put something down on paper, (or the word doc, or whatever you use). I’m currently sending out queries to agents for my newest novel, a suspense thriller titled Average Joe. When I was working on this book I had a goal of 1000 words per day. It’s attainable, and I usually went over. I would start writing about 8:00 am and was usually done for the day by 9:30 or 10 am. If you work during the day, then make the hour after dinner, or right after the kids go to bed your writing time. Set that schedule and follow it. TELL US ABOUT YOUR ZOMBIE SERIES, AMERICAN REVENANT. “American Revenant is a zombie apocalypse survival series set in and around the town I live in, Hannibal, Missouri. The genesis of the story originates from conversations with friends. Living here, right on the Mississippi river, we would often discuss how we would survive in a post-apocalyptic situation. Could we make use of the small islands up and down the river near us? What about long-term survival? How would we make it safe, or obtain food? 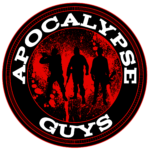 At the time we were all watching shows like Z-Nation and The Walking Dead, so, naturally, zombies became part of the equation. At one point, I said that I could write a better story, better characters, than those on TWD, (they seem like they’re constantly trying to get themselves munched on) and my friends basically told me, “Then do it.” It was my first serious writing endeavor in years. And here we are almost 4 years since I published American Revenant: Hometown Exodus. 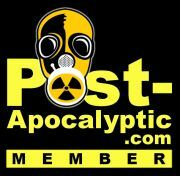 WHEN DID YOU BEGIN YOUR FASCINATION WITH ZOMBIES AND POST-APOCALYPTIC FICTION? “Like many people around my age, my introduction to the post-apocalyptic was the made-for-tv nightmare of a movie called The Day After. Man-oh-man that movie was terrifying. I was only about 9 or 10 years old at the time. When I started reading heavily in my early teen years, I was drawn to PA stories, Stephen King’s The Stand, Robert McCammon’s Swan Song, Brian Hodge’s Dark Advent, and so many more. I’ve always loved survival stories, add in a healthy dose of a blasted or diseased landscape where life is just scraping by, where the human spirit and will to live are the strongest forces, then I’m sold. Those are my kinds of tales. “Right now, I’ve got several really hot irons in a raging fire. I recently finished a suspense thriller novel that I’m currently sending out to literary agents, hoping to acquire representation. It’s a really good book, and it was a thrill to write. I’m hoping to sell it to a publisher, but if I don’t see that happening, I intend to release it by year’s end. 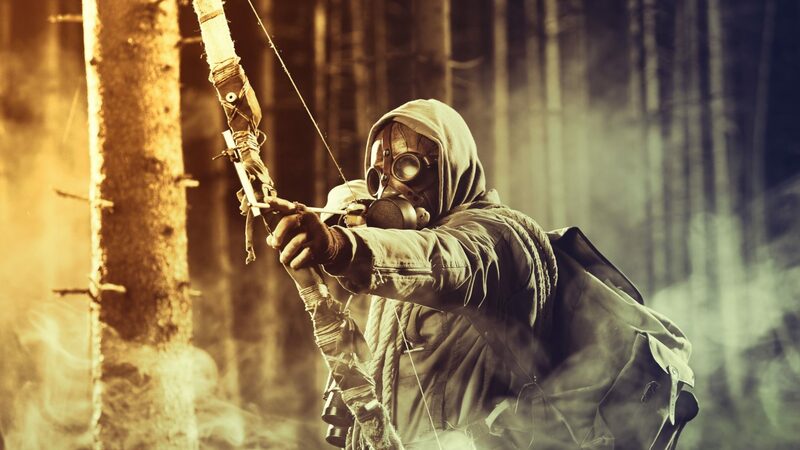 I have a new post-apocalyptic short story I’m working on about a guy who is searching for the last book by a specific author in a blasted world full of mutants and other horrors. 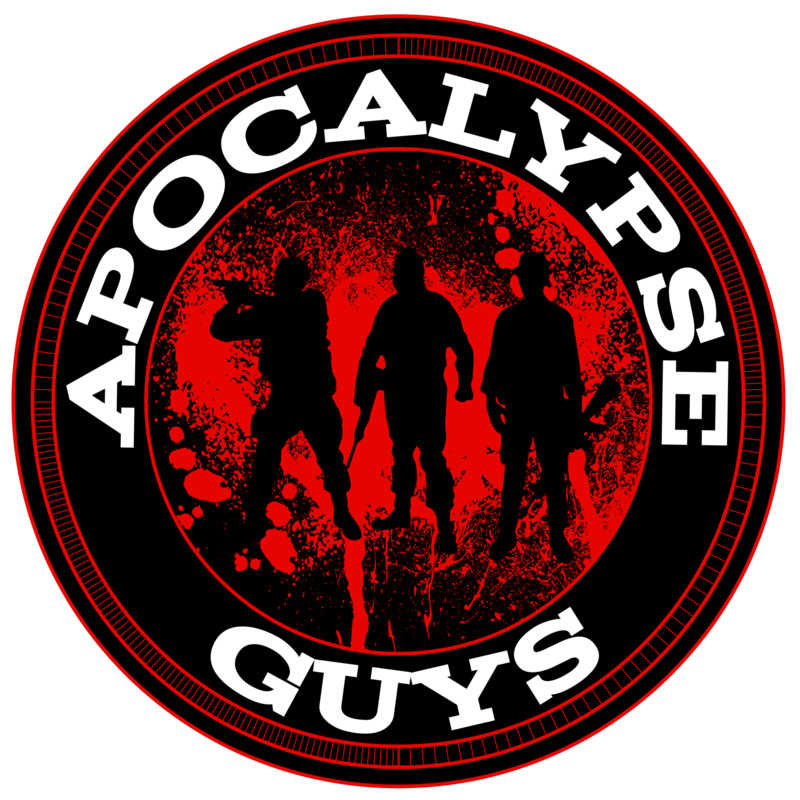 I’m also in the process of putting together a book I’ve co-authored with another zombie/horror writer, Guy Cain. The book, Tales of Junction, is unlike any zombie story you’ve ever read, and were looking forward to having that out by year’s end as well. Readers can find me at https://americanrevenantseries.com/, or on Facebook at https://www.facebook.com/AmericanRevenant/. All of my stories are available on Amazon for Kindle and the American Revenant series is also available in paperback. 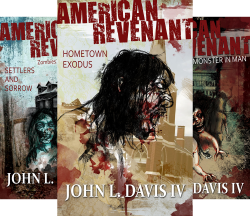 Purchase the American Revenant zombie apocalypse series right here on Amazon! Never miss an Apocalypse Guys article!